IPO Analysis: Should you subscribe to SP Apparels IPO? SP Apparels IPO which opens for subscription on 2 August will be the 15th IPO to hit the markets this year. The IPO will close on 4 August and will mobilize INR239.1 crore at the upper end of the price band INR258 – 268 per share. Like most of the IPOs, SP Apparels IPO will also have an offer for sale (OFS), although it will also raise INR215 crore by issuing new shares. Retail investors will be offered 35% shares in the offer. Shares of Tirupur-based S P Apparels will be quoted on BSE and NSE on the listing date of 11 August. Lead managers of the IPO are Motilal Oswal Investment Advisors and Centrum Capital. As its name suggests, SP Apparels is into garments and this space has been made hot by Kitex Garments so naturally, investors will be looking for indications if this company can be the next multibagger like Kitex. We put S P Apparels under our IPO review lens to analyze if the IPO deserves your subscription. Who owns what and why are they selling? Since the promoters and shareholders selling the shares have more information than the buyers (folks call it information asymmetry), we usually follow the principle that they wouldn’t sell the business if it was that good. The other possibility (and a strong one) is that the business is sold at prices it doesn’t justify. Anyway, as history of IPOs have taught us, it is better to start with a pinch of salt before going all guns blazing on IPOs. SP Apparels is promoted by husband wife duo of P Sundararajan and S Latha who have been in this trade for slightly over three decades. Promoters and promoter group own 87.49% equity in the company while New York Life Investment Management India Fund (NYLIM II India Fund) holds 10.5% stake. The remaining 2.01% is owned by Euro Asia which was allotted the shares in June 2015. NYLIM is participating in the OFA which will see its shareholding in the company halve. We like that NYLIM is not completely exiting the company. Out of the INR239.15 crore the IPO will mobilize, SP Apparels will get only INR215 crore. These funds are will be used towards repayment or prepayment of debt (INR63 crore), plant expansion and modernization (INR70.1 crore), and opening new stores for Crocodile branded products (INR27.8 crore) besides general corporate purposes. 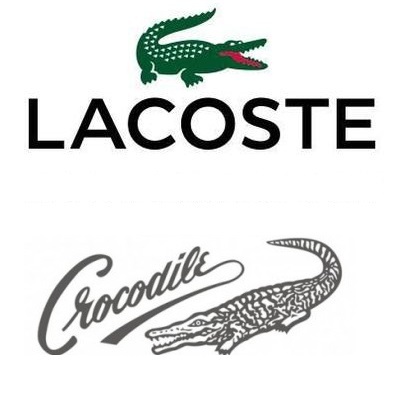 For the Crocodile brand, the company currently has a network of 40 brand outlets including 37 company-owned and operated stores. Plans are to enhance this network by opening 70 new retail stores in 18 states of India between FY2017 and FY2019. SP Apparels is largely into the business of manufacturing and exporting knitted garments for infants and children. The company makes these products at its 21 manufacturing facilities which are all located within 125 kilometers of Tirupur. In addition, it also manufactures and retails menswear garments in India under the Crocodile brand. 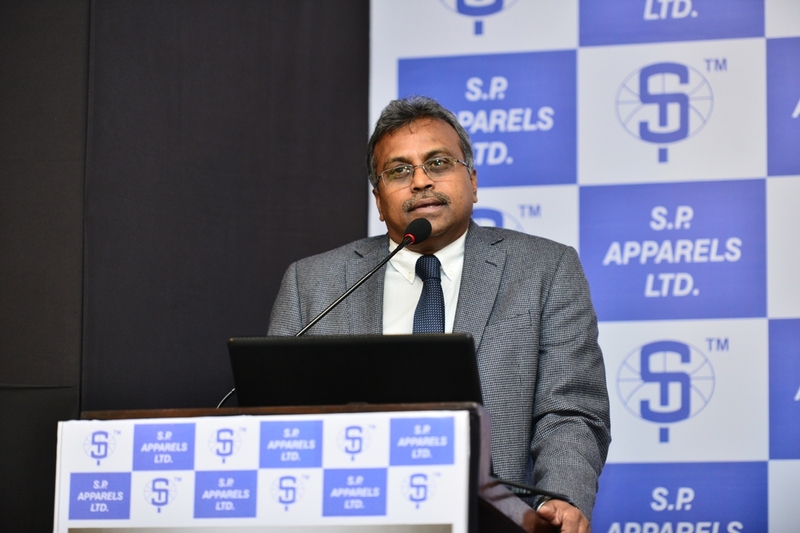 SP Apparels’ export business for knitted garments for infants and children constitute a significant portion of its business with nearly 86.13%, 84.62% and 79.84% of its total revenues for the FY2016, 2015 and 2014, respectively, generated by this business line. The company’s international customers include TESCO and Primark. Under the retail business, it sells Crocodile-branded menswear which it has sub-licensed from Crocodile International Pte Ltd (CIPL). Nearly 6.43%, 3.39% and 3.35% of its total revenues for the FY2016, 2015 and 2014, respectively were generated by the retail business. The mundane business of textile manufacturing can be highly profitable and SP Apparels is a brilliant example of this. Its top line has not grown by leaps or bounds in the last four years but has been consistent. Revenues have grown from INR401.6 crore in FY2012 to INR537.7 crore in FY2016 but profitability is where SP Apparels trumps. Its net earnings in the same timeframe have surged more than three times to INR34.7 crore. More importantly, margins have expanded in the recent years. For FY2016, it earned a net profit margin of 6.5% which is the highest in the four years. Since it was helped by changes in inventory levels, we wouldn’t read too much in this particular instance but the generally trend in margins is of expansion. Another positive we see with SP Apparels’ financial performance is that its finance costs have reduced considerably over these years. From INR40.3 crore in FY2012 to INR25.2 crore in FY2016, the reduction in finance costs comes due to a massive reduction in long term borrowings. This is something we like. As of 31 March 2016, its debt equity ratio stands at 1.95 which is still high but lower than 2.45 as of 31 March 2015 and 3.16 as of 31 March 2014. The review so far pretty much captures what is right with the company and thus, we are going to compare the positives with the negatives here and see if it makes sense for investors to subscribe to the SP Apparels IPO. As we noted earlier, textile is a mundane business with lots of existing players around. Although we don’t view it as a negative aspect as value can be created by improvising as well, presence of industry peers requires such businesses to be benchmarked against the existing ones. This leaves little or no scope for novelty value unless the business model is differentiated. Unfortunately, we don’t find such indications in SP Apparels IPO. Considering that SP Apparels’ consolidated EPS in FY2016 was INR17.15, the IPO values the business at a price earnings (PE) ratio of 15.6 at the upper price band of INR268 per share. However, its earnings surged in the latest year so a better approach would be to consider the average EPS of the last three years which is INR11.08. This puts a PE valuation of 24.2 which appears quite high taking into account the fact that industry peer Kitex Garments is available at a PE multiple of 20. This is not apples to apples comparison but serves as a proxy since earnings in the latest year were aided by inventory correction. Kitex has since come up with its June quarterly results which tell us that its net profit margin for the period increased to 17.5% while its net margin for FY2016 is at 20.5%. Despite the spike in FY2016, SP Apparels is nowhere close to these levels. In addition to valuations, another concern we have regarding SP Apparels’ business model is that its retail division appears to be based on a shaky foundation. The Crocodile brand is deceptively similar to the long-standing and better-known Lacoste brand and both parties have been entangled into legal tussle globally. Lacoste licensee in India – Sports and Leisure Apparel Ltd – has filed a suit for injunction and damages for infringement of copyright and registered trademarks against CIPL and CPPL. The matter is currently pending before the High Court of Delhi. For investors, it is important to note that CPPL – the licensee of the Crocodile brand for India – is not profitable yet and booked losses in two of the last three years. Coupled with the fact that the business is not sustainably profitable, legal troubles are alarming to us and present a big red flag. Creating successful business ventures require enormous efforts and hard work and without doubt, the story of SP Apparels’ promoters is one of grit and perseverance in a crowded market. However, we feel there are better options for retail investors and giving SP Apparels IPO a miss should not be a difficult choice. ← Dilip Buildcon IPO Review: Built to last?